Great weather, stunning beaches, and a kicking party scene- if you’re after fun and excitement in a beautiful part of the world then Miami certainly won’t disappoint. It’s home to so many super- rich celebrities which speaks wonders really since they could live anywhere in the world! 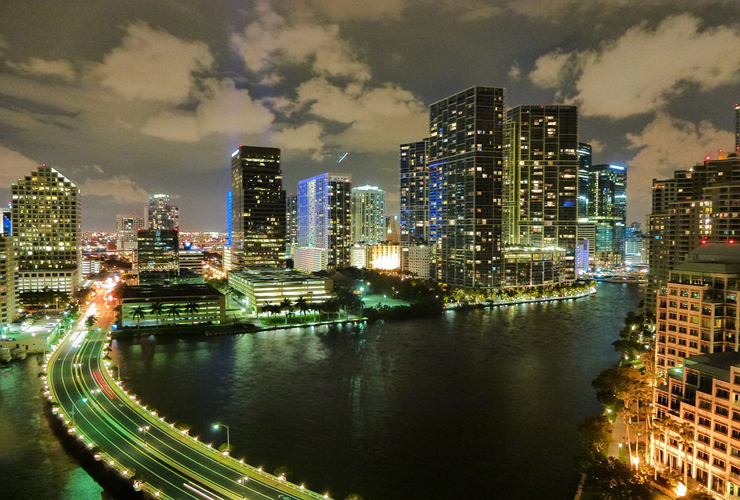 Here are some of the things you need to think about when you’re planning your trip to ‘The Magic City’ Miami. Are you looking for something a little more budget-friendly, or will this be a once in a lifetime luxury getaway? Something like Hotel Pierre and Motel Bianco keep it simple with economy rooms for those on a smaller budget. If you only need a place to lay your head and shower each night, then there’s nothing wrong with cutting costs here. If you want to go all out, you could stay in the Mandarin Oriental, The Marlin Hotel, Four Seasons or one of the other many high-end establishments. It will certainly set you back money wise, but if you want to experience the best of the best, then this is a fantastic way to treat yourself. As well as it’s vibrant party scene, there’s plenty to do in the day in Miami too which is suitable for all the family. Take a walk through scenic parks or gardens, look through the galleries and museums which are dotted around the city or kick back on one of the truly breathtaking beaches. Don’t just enjoy the clear blue waters from the beach, how about searching boat charters in Miami and letting the ocean breeze run through your hair. 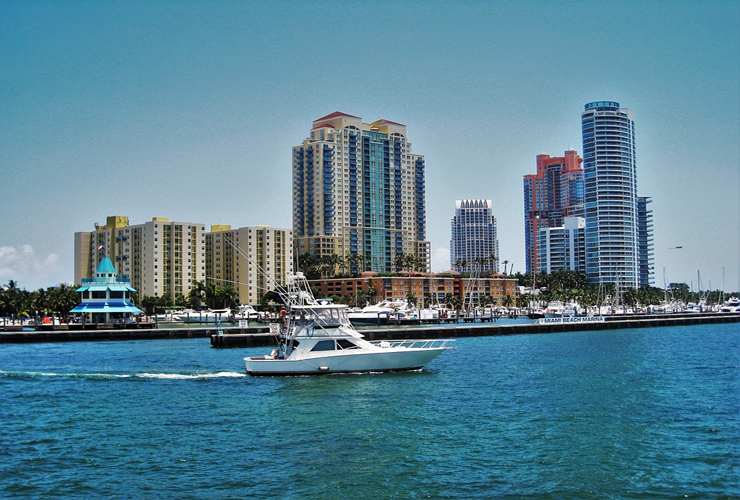 Whether you want to unwind or throw a yacht party is up to you, but Miami is the best place for being out on a boat. Another fun thing to do in Miami is take advantage of the shops and get your fix of retail therapy. It’s home to designer boutiques if you’re looking to get spendy or outlet malls if you want to snag a bargain. There are retail markets, independent shops, tourist stalls and just about everything else you could possibly want. While Miami is more expensive than other cities in the US, you can still find places to shop if you don’t have a whole lot of cash in your pocket. There are hundreds of amazing places to eat which serve all kinds of cuisines, so whatever you fancy or like to eat you’re sure to be able to get it here. From relaxed beach cafes and coffee shops to high-end restaurants there’s something for all tastes and budgets. Since the weather is so good, why not make the most of it while you’re away and have a picnic in the park or on the beach? 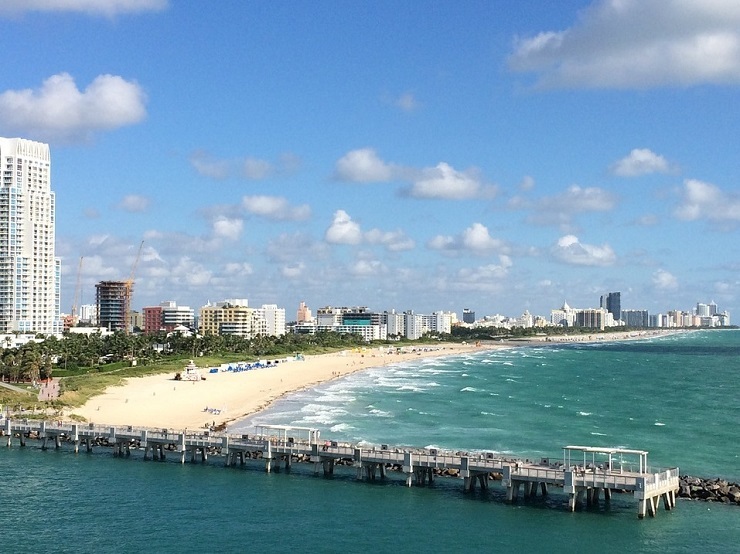 Is Miami a place you have on your travel bucket list? If you’ve been, do you have any recommendations on the best places to go? It would be so awesome to be in Miami right now! What a gorgeous part of the country. Would love to take the family there!. I went to Miami quite a few years ago. Miami Beach was an eye-opening experience…I had never been to a beach where people "showed" so much skin…male and female. The weather was beautiful, and I liked walking the nearby streets to window-shop and eat. We also went to the zoo, which was a lot of fun! Even if I had only your pictures to go by I would still say that Miami needs to be added to my list of places to visit sooner rather than later. What a beautiful city! I have never been to Miami but I am going to Orlando in May. This will be my first trip to Florida. Maybe one day I will get to experience Miami. It looks like a ton of fun! Does not take much to get my attention! Phew, I need to go to MIami and I need to do it asap. You pretty much had me at sunkissed nose! :) What a fun getaway! Miami is definitely on my bucket list. I would love to see it and Key West. The water and energy in Miami is definitely something I have to experience first hand! I was in Miami for a conference once and it's one of my all-time favorite cities (naturally since I'm half-Cuban). I'm dying to show it to my English husband because he loves Art Deco architecture, but we can't seem to make it back to the States. With Europe at our doorstep and SE Asia so accessible, we never seem to make it to the States. You had me at retail therapy! This looks like an amazing place to visit! So good I could totally just live there! I loved visiting in Miami and one of the best things we did was the Segway Art Deco tour. It was so much fun and we got to see so much of the city. It is on my must travel back to list!